Toyota recently released a report of their vision of the future. They predict that plain old internal combustion cars will be a thing of the past by 2050. You can see in the chart below the mix of vehicle types that they are projecting. In 2050, Toyota predicts the mix of new cars will be approximately one-third hybrid, one-third plug-in hybrid, and the final third is split between EVs and Fuel Cell Vehicles (FCV). It's interesting that Toyota would lump EV and FCV into the same category when they have made such a big deal of saying that EVs are not future for primary personal transportation. They have said that EVs will be a niche product for urban travel only and that FCVs will be the vehicle of choice for most drivers. Are they hedging their bet? More on that later. Another thing I find interesting about the above graph is that hybrids have been on the market for 15 years are are still only have a 3% market share. Yet, they predict that over the next 35 years this market share will grow to 33%. I understand why Toyota might want this to be the case. The hybrid market is dominated by the Prius. If the hybrid market were to grow 10 X, Prius sales see tremendous growth. Toyota would love to see the hybrid vehicle market grow significantly. However, given the small market share after 15 years, tremendous growth is unlikely. I see two things wrong with the assumption that the hybrid market will grow significantly. First, plug-in vehicle sales are growing faster than hybrid sales ever did. Plug-in vehicles are coming out from every major vehicle manufacturer; whereas, outside of the Prius, hybrids models have been meager. Second, once you have a hybrid vehicle with batteries and a drive system that can combine an electric motor and a gas engine, it doesn't take much more engineering to make a plug-in hybrid (add more battery capacity and a charger). As battery energy density increases and prices drop, it will become a small upgrade to go from a 50MPG hybrid to a 100MPGe plug-in hybrid. If you care about fuel economy, fewer trips to the gas station, or just not paying as much to get around, the extra cost of a PHEV over an HEV will be worth it. 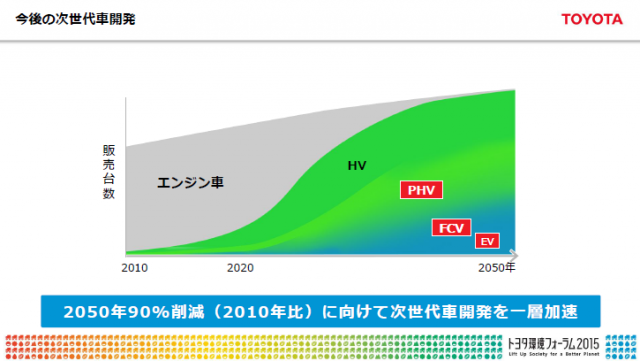 PHEVs will eclipse HEVs and limit HEVs market growth. As battery technology advances, plug-in vehicle sales will cannibalize the hybrid market and limit its growth. Toyota seems to think that EVs will dominate the market in golf carts, weird leaning vehicles, and micro cars. I guess they have not heard about Tesla or the list of "Tesla fighters" in the luxury EV market. These vehicles are long range BEVs and they don't appear on Toyota's vision of the world in 2050. Apparently, Toyota has never heard of Tesla and doesn't think batteries will improve by 2050. Looking at the right side of the graph, they have heavy vehicles dominated by fuel cell drive systems. Here is something that we agree on. As I have previously stated, long range heavy vehicles or fixed route vehicles (such as dock vehicles, buses, garbage trucks, or mail trucks) are excellent opportunities for FCVs. Passenger cars, on the other hand, are not viable until an extensive hydrogen refueling infrastructure is in place. 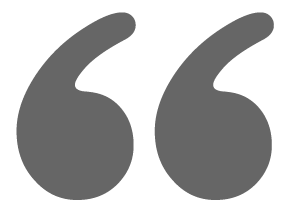 Battery electric vehicles do not suffer from this limitation since any electrical outlet can be used to refuel them. 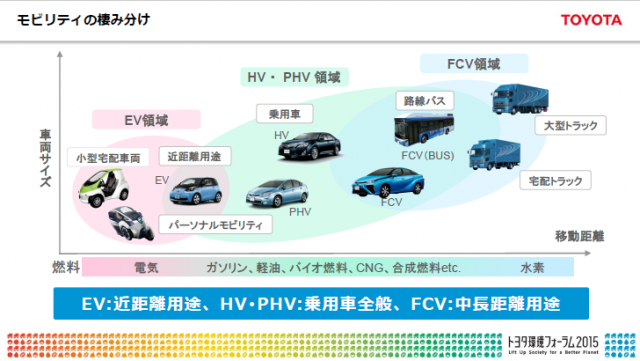 So the outlier in the FCV bubble is the passenger vehicle shown as a Toyota Mirai. I guess, in Toyota's 2050 vision, there is an extensive H2 refueling infrastructure. I'd like to see their deployment plan. H2 will have to compete with electricity. Electricity is cheap and convenient, so it will be hard to make a profitable business plan around H2 refilling. Electricity is cheap and convenient. It will be hard make a profitable H2 refilling business plan that can compete with electricity. This concludes my critique of Toyota's 2050 vision. The future will be interesting.